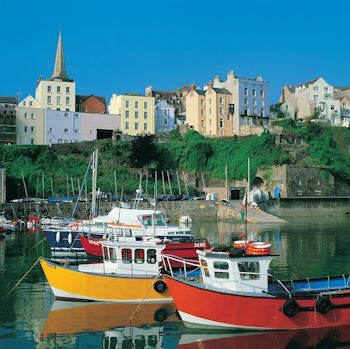 Today the town of Tenby is a mix of old and new with the original castle walls dating back to the time of the Norman Conquest and the town walls to the 13th century. During the middle ages the town had a thriving fishing industry but following the English Civil war the town went into decline and by the middle of the 18th Century it was in ruins and many of the houses were abandoned. 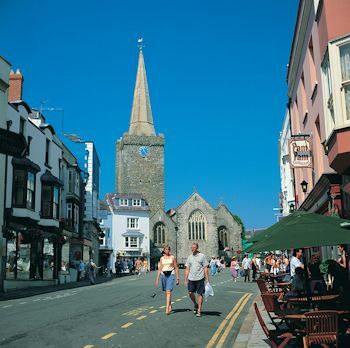 However, during the Victorian era many of the buildings we see today were refurbished and painted in a variety of pastel colours, this gives it a unique feel which attracts the many tourists to the town and it is these tourists that the town depends on for its prosperity today. Modern Tenby depends on a thriving tourist industry and for today’s visitors to Tenby you will find a variety of attractions, you might want to spend time on the beach just lazing about or taking a walk around the town, during the summer period the streets are closed to traffic during the day making it a safe place to walk around and enjoy the shops and many street cafes. 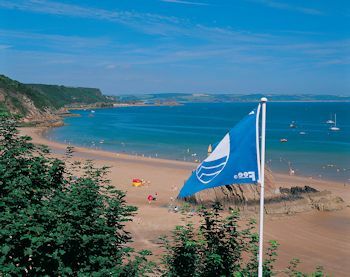 Tenby has a reputation for clean beaches and currently has three Blue Flag beaches. For the more adventurous there are regular boat trips from the harbour over to Caldey Island which in 1997 was designated a conservation area which highlights the special nature of the island. Being a seaside town there are also opportunities to hire a pedal boat or perhaps taking a fishing trip and hopefully catch some mackerel for your tea. Other attractions include a Tudor Merchants House which is owned by The National trust; there is also a Museum and Art Gallery to visit. 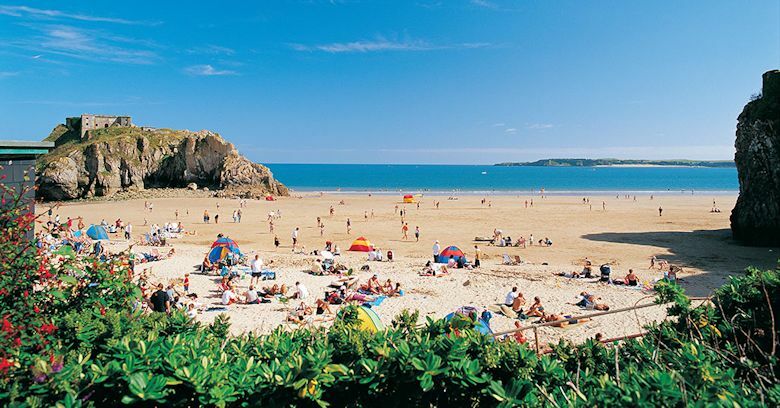 Tenby has a variety of Hotels and Guest houses to choose from along with a number of caravan and camping sites in the vicinity of the town and beaches. 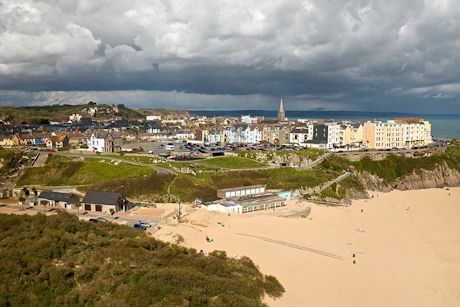 Close to Tenby there are a number of other tourist attractions to tempt the visitors, these include golfing, quad biking for the adventurous or for the kids a visit to Tenby Dinosaur Park or Carousel Woods at Folly Farm; there is also a tree top trail at Heatherton.